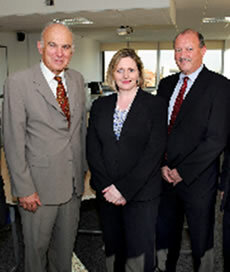 Mary Macleod, Member of Parliament for Brentford and Isleworth, invited the Secretary of State for Business, Innovation and Skills, the Rt Hon Vince Cable MP, to Hounslow to hear the concerns of local businesses. Mary was joined by Frank Wingate, the chief executive of West London Business, Nigel Milton from BAA, Tom King from British Airways and Stephen Booth from IBB Solicitors. The group were able to discuss a range of subjects, including improvements to transport infrastructure, ideas towards increasing business growth in West London and how we can encourage more skilled workers.